Though most people associate eluding the police with high-speed chases we see on the news. In reality, eluding charges can often come from innocent mistakes and misinterpreted lapses in judgement. There are many reasons a person may elude a police officer. The most common is simply not realizing that the officer had turned on his sirens. Or maybe they were scared or confused and simply made a mistake. Truthfully, people often flee the police simply because they are panicked and not sure what to do next. Though these situations are quite common, the penalties for these criminal offenses can be very severe, including potential prison time of up to 10 years, as well as other penalties outlined below. 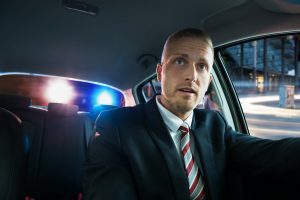 If you have been charged with eluding a police officer in Ocean County or Monmouth County, New Jersey, it is highly recommend that you consult an experienced criminal defense and traffic attorney. The Bronzino Law Firm, located in Brick, New Jersey, provides client-focused, compassionate representation and is here to help you navigate the often complicated New Jersey justice system. We work tirelessly to minimize the possible penalties our clients face and to protect their driving privileges. We conduct a detailed investigation into the circumstances that led to your charges. Armed with this information, we work to get your charges reduced or dismissed altogether. If you have been charged with eluding a police officer in Brick, Toms River, Point Pleasant, Wall, Spring Lake, Sea Girt, Jackson, Howell or anywhere in Ocean or Monmouth Counties contact us online or call us at (732) 812-3102 for a free consultation. Any person, while operating a motor vehicle on any street or highway in this State or any vessel, as defined pursuant to section 2 of P.L.1995, c . 401 (C.12:7-71), on the waters of this State, who knowingly flees or attempts to elude any police or law enforcement officer after having received any signal from such officer to bring the vehicle or vessel to a full stop commits a crime of the third degree; except that, a person is guilty of a crime of the second degree if the flight or attempt to elude creates a risk of death or injury to any person. For purposes of this subsection, there shall be a permissive inference that the flight or attempt to elude creates a risk of death or injury to any person if the person’s conduct involves a violation of chapter 4 of Title 39 or chapter 7 of Title 12 of the Revised Statutes. In addition to the penalty prescribed under this subsection or any other section of law, the court shall order the suspension of that person’s driver’s license, or privilege to operate a vessel, whichever is appropriate, for a period of not less than six months or more than two years. Eluding is, simply put, the act of fleeing by motor vehicle from a person who the accused knows or should know to be a law enforcement officer. The law states that you cannot knowingly attempt to flee or elude a law enforcement officer after having received a signal or instruction from the officer to stop your vehicle. In short, when an officer signals for you to stop your vehicle, you are obligated by law to do so. The law presumes that the registered owner of the vehicle was the operator of the vehicle at the time of the eluding offense. Clearly this can create legal problems when the operator of the vehicle is in dispute because the defendant must prove that he or she was not operating the vehicle at the time of the offense. In addition, New Jersey courts interpret the statute to define “eluding” as occurring when a person flees by motor vehicle “from a person who the perpetrator knows to be a law enforcement officer.” State v. Mendez, 345 N.J. Super. 498, 785 A.2d 945 (N.J. Super. Ct. App. Div. 2001) aff’d, 175 N.J. 201, 814 A.2d 1043 (2002). It is critical to note, the “knowingly” requirement is the most difficult element for the State to prove. A person acts knowingly with respect to the attendant circumstances of their actions if they are aware that such circumstances exist. Knowledge is a condition of the mind that cannot be seen and can only be determined by inferences from words, conduct or acts. Therefor, if there is reasonable doubt about the alleged perpetrator’s criminal intent, the defendant can’t be held guilty. Eluding is usually classified as a third degree crime, which may bring the defendant to a prison range of three (3) to five (5) years. The crime is elevated to a second degree offense if the attempt to elude creates a risk of death or injury to another person. The wording “risk of death or injury” in the statute is interpreted broadly by NJ courts. As a result, almost every attempt to elude can be given a second degree classification. This is a critical distinction because a second degree offense carries a presumption of incarceration. A conviction of second degree eluding in New Jersey, can bring a sentence of as many as 10 years in New Jersey State Prison, with a minimum period of parole ineligibility of five (5) years. The Bronzino Law Firm, we has decades of experience defending clients against traffic citations and criminal charges in Ocean and Monmouth County towns such as Wall, Jackson, Point Pleasant, Sea Girt and the surrounding communities. Attorney Peter J. Bronzino has built his practice based on the belief that each one of his clients deserve compassionate, highly attentive and effective legal counsel. Speak with Peter Bronzino and our legal team today in a free and confidential consultation. Please contact us online, or through either our Brick or Sea Girt offices at (732) 812-3102.